Another grade one race for three year old colts and yet another winner to join the crowded club for 2011. With the Travers having the distinction of being the last grade one on the books exclusively for the sophomore class and no one creating some distance from the competition, it will be a mad scramble to the end of the year to decide the championships. In this case chaos is good. 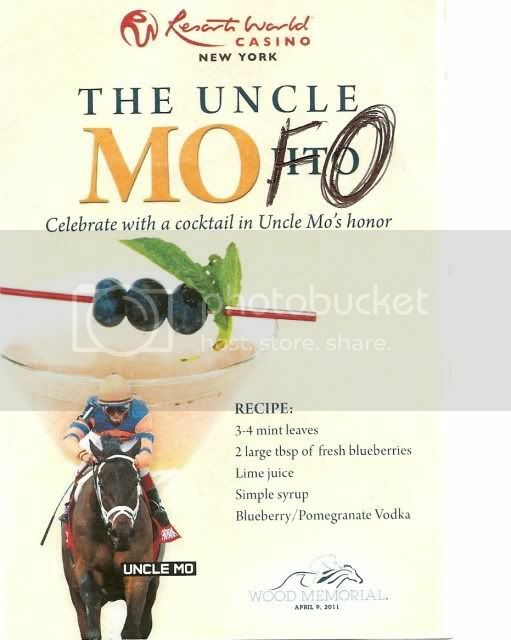 Uncle Mo did not win the King’s Bishop and if anything may be back for a shot at redemption at four years old, seeing how his three-year-old season has turned into a wash. Shackleford was less than a length away from clinching the division title back on July 31st and now is back in a tie with the rest of the division. 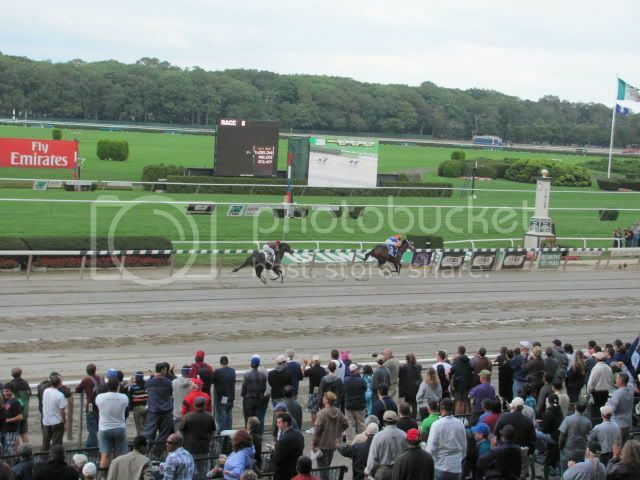 Stay Thristy is the resurgent force of the division with two recent wins and was a close second in the Belmont. With the magic number set at two grade one wins, the whole lot is stuck at one. The parity trend is not isolated to the three-year-old males, the filly counterparts went from a division that was It’s Tricky’s to capture back into a group that any able bodied filly can win if they get on a hot streak. Turbulent Descent probably benefits the most from last week’s upheaval, as she is a multiple graded stakes winner this year. She may only need the rest of the division to trade off victories or loses to the older fillies in the fall stakes races and a Breeders’ Cup win in order to clinch. It’s Tricky remains closer to the honors than the rest of the fillies and a win against older fillies would likely grab the title. Tizway is the default leader of the older males with wins in the Met Mile and Whitney, one more grade one and he gets the trophy with little resistance. The rest of the elder colts and geldings in that group are a jumbled mess and wins by a combination of any of them probably won’t do much to uproot the current leader. The horse of the year championship is a four-way race at this point. Cape Blanco has two major victories stateside and a third one could get him the nod. Tizway will probably need one or two more major victories. Then there is the predicament of Havre De Grace and Blind Luck. 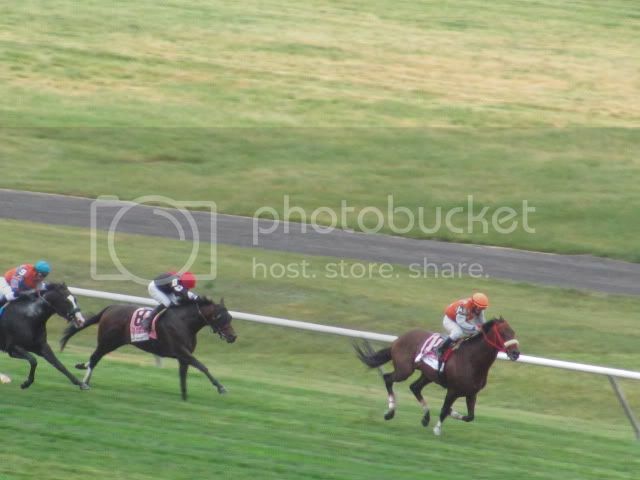 These two fillies have faced off against each other throughout various points in the past two years and have traded decisions with a narrow margin of victory almost every time. Havre De Grace is on target for the Woodward this upcoming Saturday at Saratoga and Havre De Grace has two races left on the schedule for the remainder of the season. If Havre De Grace wins against the males and it is a taxing effort like the one Rachel Alexandra put forth in her conquest of this race the important question is do you put her away for the year or squeeze one more race out of her for the year? Blink Luck could run the table and easily take the Horse of the Year honors away for Havre De Grace. It is unprecedented that a filly or mare has won the Horse of the Year honors for three straight seasons and it may happen this year with the way the division races have shaped up. While horses trading decisions for the past eight months is not the most thrilling of things to follow throughout the year, it does provide for an interesting finish to a season filled with parity. It’s Tricky is in a position to sweep a prestigious series of three races that has been a staple of North American racing for the past 54 years, the Triple Tiara. A horse has not swept the three race series since its “classic” configuration back in 1993 when Sky Beauty won the Acorn, Mother Goose, and Coaching Club American Oaks. The list of fillies that have done this feat reads as a veritable all-star team of hall of fame inductees Dark Mirage, Shuvee, Chris Evert, Ruffian, Dovona Dale, Mom’s Command, Open Mind, and Sky Beauty. The question worth asking is why isn’t It’s Tricky getting more mainstream coverage? Any time a male counterpart captures the Derby and Preakness, there is a media circus surrounding the final leg of the Triple Crown. The short answer to the question above is it’s tricky. The long answer is that in the past eight years they have had three different configurations to the series. 2002 played out the string of 45 years of consistent scheduling for the classic series. In 2003 the Alabama was placed in the set displacing the Acorn and a bonus of two million dollars was put in place for anyone who won all three races, that bonus lasted until 2005 with no one grabbing the brass ring. From 2007 to 2009, the series returned to its original alignment. 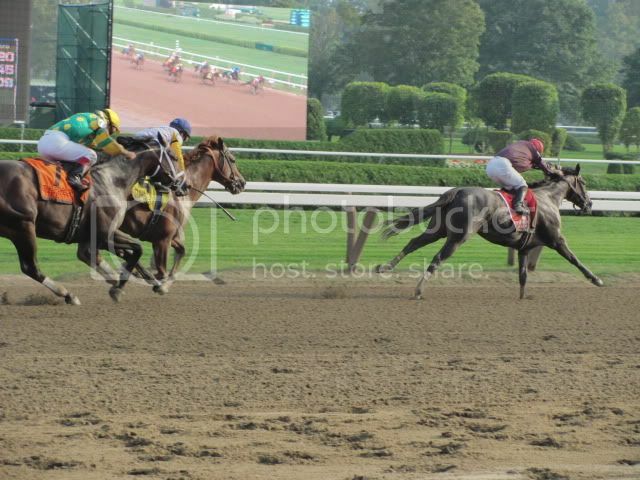 The most recent incarnation of the series started last year with two out of three of the races being held at Saratoga the Acorn, Coaching Club American Oaks, and Alabama. “In recent years, many owners and trainers of fillies have submitted proposals to the National Thoroughbred Racing Association to change the three races that compose the Triple Tiara. 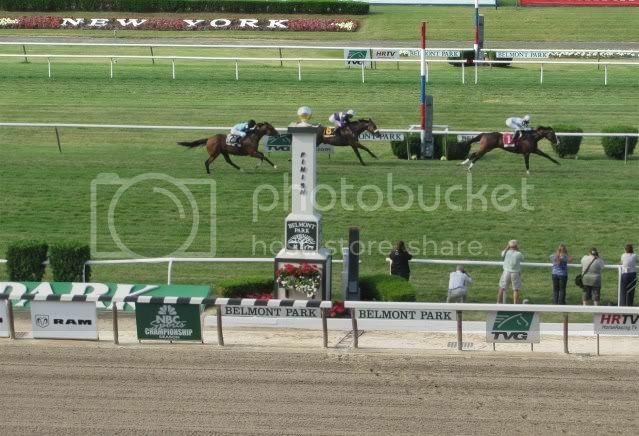 Although a great deal of prestige is attached to winning one or more of the current Triple Tiara races, all three are held at the same track at Belmont Park in the New York City area, because of this, the series is skewed to fillies that race in the northeast. Some from outside the area even modify the name of the series by calling it the "New York Triple Tiara." Several options of races have been suggested to compose the "National Triple Tiara." The most popular proposal of races to compose a "Triple Tiara" series are The Kentucky Oaks, run at Churchill Downs in Louisville, Kentucky; The Black-Eyed Susan Stakes, run at Pimlico Race Course in Baltimore, Maryland; and The Acorn Stakes, run at Belmont Park in Elmont, New York. A second proposal has been to use the Kentucky Oaks, the Black-Eyed Susan Stakes and the Mother Goose Stakes. This version would allow more time for fillies to recuperate between races. Using the Mother Goose would also allow the NYRA to keep its three races in place as its own series without interfering with the three National races. The idea I have for changing the series would fall under the same type of guise with the Kentucky Oaks leading off and the Mother Goose in the mix. Where I vary is including the Coaching Club American Oaks in the series. Having the Black Eyed Susan would be too close to the Oaks and if the Oaks winner does not win the race in Pimlico, they will likely skip the Acorn or Belmont in preparation for the Saratoga meet. The same could be said for the winner of the Black Eyed Susan going forward. My version of the Series would be the Kentucky Oaks, Mother Goose, and Coaching Club American Oaks with some monetary bonus to any filly that can sweep the series. A bonus to a points leader if at the end of the three races like they used to have with the Chrysler Triple Crown Bonus would be awarded as well. The races would be roughly a month apart and would have a race on Derby weekend and one at Saratoga, plenty of spacing between starts and top notch venues throughout the series; the best of both worlds. The colts and geldings have the traditional three races in five weeks that captures the attention of the racing and sports public, the fillies should have something like this to showcase the best of their generation. Changing the Triple Crown would be near sacrilege at this point and the money in breeding and seven figure purses are more than enticing to the connections of the three years old colts and geldings participating. The good thing about starting up a three year old filly series now is a clean slate on which you can create a set of races that will have large competitive fields with no excuse outside of injury for all capable fillies to run in. Santa Anita is getting the 2012 Breeders’ Cup, Mike Repole and Steven Crist are upset about this. As Crist points out, this will be the third time in five years that southern California track has hosted the event. What he failed to pointed out is the ten year gap that Santa Anita did not host the event from 1993 to 2003 and in a ten year span from 1995 to 2005 Belmont Park played host three times. What comes around goes around. 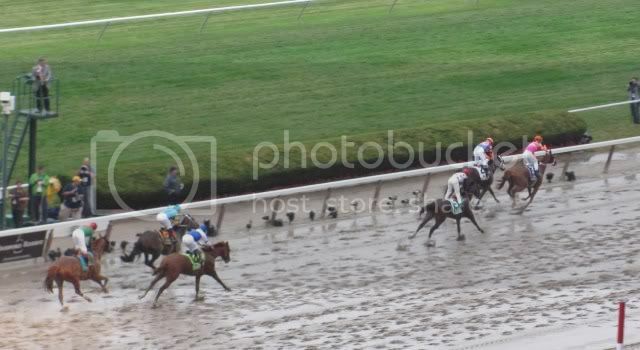 It seems as though Breeders’ Cup officials have been leery of having the two-day race card at an East Coast racetrack since the weekend deluge that befell Monmouth Park in 2007 and the tragic breakdown of George Washington that occurred in the Classic. Weather on the Atlantic side of the country in the fall has been hit or miss at it’s best, it is chilly and dry or chilly and raining. The West Coast is attractive to the owners because of the warm weather and lack of rain in the area during that time of the year. It is the same reason that owners will probably continue to choose sending horse down to Gulfstream over Aqueduct even after the purses are increased with the slot machines opening soon. Kentucky is the other default choice because the breeders can show off their breeding stock around the same time there is an auction at Keeneland. 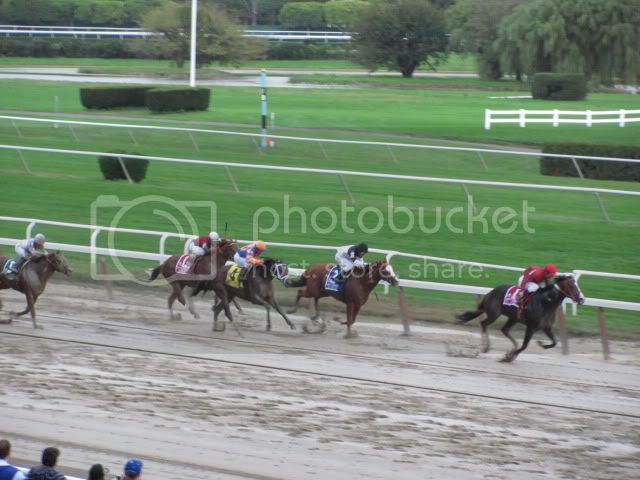 The New York Racing Association released its fall and winter stakes schedule on Wednesday. The most noticeable of the changes to the schedule is the Nashua and Tempted stakes being moved to Belmont in early October. The pair of juvenile stakes races are now at the sprint distance of six furlongs so it can be used as prep races for the newly created Breeders’ Cup Juvenile Sprint. Once again NYRA has to bend its schedule to the will of the Breeders’ Cup, last year the Kelso Stakes was moved to the dirt at the mile distance as a prep race for the Dirt Mile. This took away from the Jockey Club Gold Cup, which Tizway competed in the year before and probably would have entered in again along with Regal Ransom and Mythical Power. Instead of a six horse Jockey Club Gold Cup, it would have been a nine-horse field at the minimum. The New York Racing Association used to have one of, if not the best stakes schedule out of all the North American racetrack circuits. The Breeders’ Cup has taken away from NYRA and other racetracks in the name of the prep for the big payday. Not only that, but they also have specialized every division by bumping the event to two days and 15 races, when it used to be seven races in one day. The Breeders’ Cup has become an unwieldy beast that feasts off of other racetracks for their product. The Test and Whitney Stakes are the featured attractions as races nine and ten on the Saturday card. Both have a solid group of runners entered to run and very little in the way of toss out runners. In other words, these are two really good betting races. The early pace of the Prioress Stakes back on July 4th was white hot and set up for the likes of Pomeroys Pistol and Her Smile to finish 1-2. Without the likes of Alienation and Quantum Miss entered in here, it could give Roman Treasure the chance to get away to a comfortable early lead. It goes without saying that the Acorn has developed into a key race, the winner went on to capture the Coaching Club American Oaks and Her Smile won the Prioress off of this race. California invader Turbulent Descent was a sixty five cents on the dollar favorite in this race and will undoubtedly take a lot of money here too. Leaving her out of the various multiple race wagers would be a mistake. The older male division reflects the three year old division, that is to say it is a wide open mess with everyone staking a claim that their steed is the best of the generation. That is why there are 11 runners assembled for the 84th running of this prestigious race won by greats such as Alydar, Personal Ensign, and Easy Goer. The Stephen Foster already produced one winner in a graded stakes race in NY when Flat Out decimated a field of six in the Suburban. 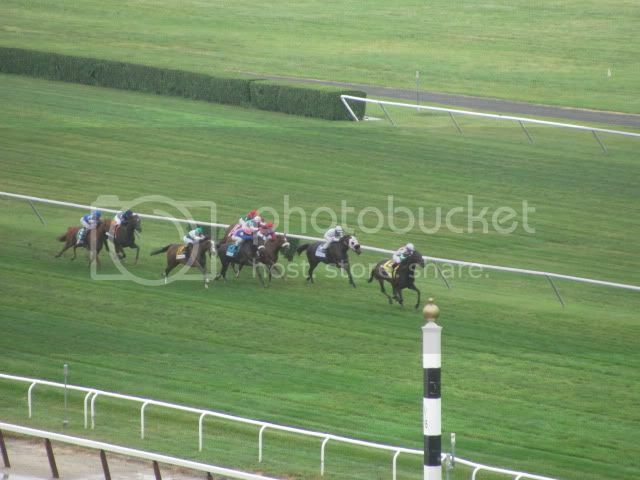 Giant Oak, Mission Impazible, Apart, and Duke of Mischief all exit this race. Mission Impazible was hung wide out of post 11 and up on the early pace throughout only lose by a neck to a longshot. Mission Impazible's best races are the 9 furlong distance, his recent works look good, the connections are hot, and he has tactical speed to sit off the early pace to make a run. Tizway, son of champion Tiznow ran away with what looked to be a wide open edition of the Met Mile. Usually the offspring of Tiznow improves with age, Morning Line is another example of late maturity with explosive speed in the offspring of the two time Classic winner. 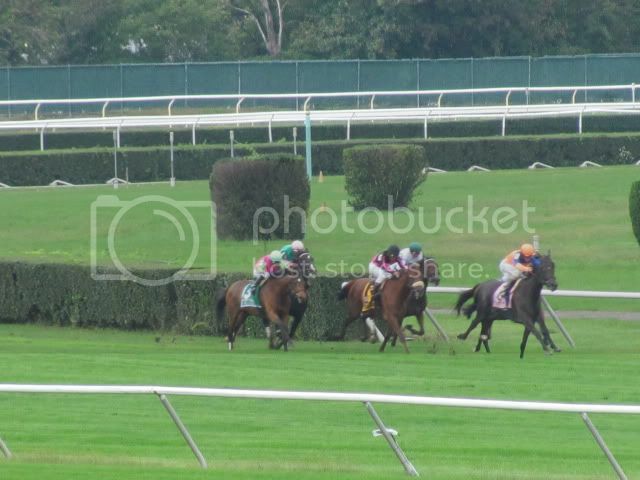 There were two horses that loved the big sandy strip, the winner of this race and Haynesfield; the horse for course angle was in full effect here. The time of 1:32.9 is probably a byproduct of a very fast surface though, My Golden Opinion zipped through the distance of 6 1/2 furlongs in 1:15.32 and claimers ran 1:09.66 for three quarters of a mile one race later. The horse that most likely will improve off of this race is the second place finisher Rodman, who has come back better than ever in his three starts off the extremely long December 2009 layoff. Haynesfield threw a fit in the post parade dumping the injured Ramon Dominguez and did not run well in his second start off the layoff, not a good sign at all. Caixa Electronica continued his streak of running steady to impressive efforts with his third place effort. Any good efforts from the Arromanches progeny is good news for the racing product as it seems he has passed on his consistency and soundness to future generations. How did this colt win the Preakness? It was an unbelievable win that goes against every convention and every canard of reason. Last out in the derby he faced a tepid pace and faded like he did not have the requisite courage to win a classic. Horses that fade in the lane usually fade in the lane every time. Now in the Preakness he faced a stiffer pace which makes fading in the lane an absolute near certainty. The real mind bender was the looks of this colt before the race. 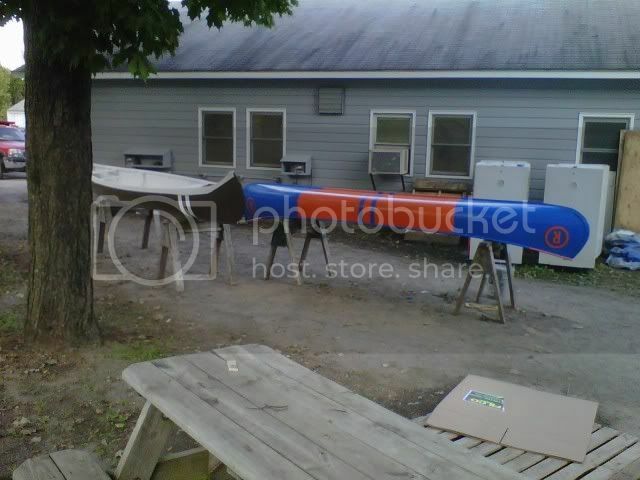 Shackleford was a complete washed out mess. When he loaded I said to myself "no way he wins". Horses that lose their composure and wash that badly do not win races; especially route races. Not only did the disheveled Shackleford win a graded stakes route race- he won a classic after fading in a similar race just two weeks earlier. It is a result that boggles the mind in every way. He must of annexed the efforts of three races and concentrated the exertions into his Preakness run. If any horse was ever going to bounce next out- it is Shackleford. 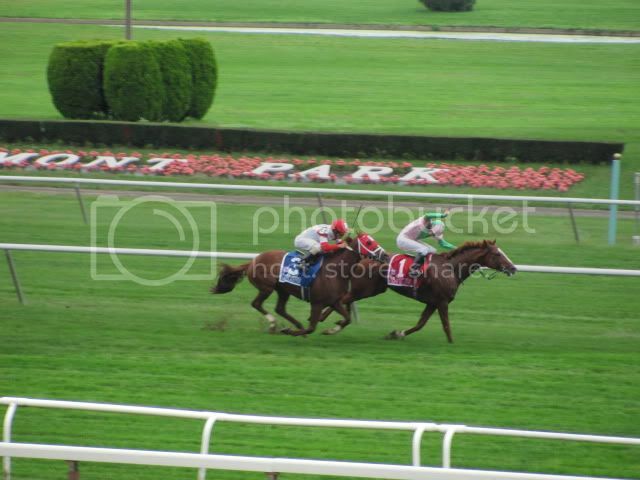 Animal Kingdom proved himself to be a legit dirt runner yesterday and will be a major threat going forward. Shackleford will have something to prove moving forward off of this race, he was up on a pace that was much faster and more contested than the Derby and have enough in the reserves to hold off a horse that blew by him two weeks prior. Three-year-old colts can make dramatic improvements from race to race in the spring, but to do these two things in one race is a little hard to believe. One race left to go to the annual spring series and for a third straight year the crown is not on the line. A bust for bartenders at Belmont and ticket holders looking flip their tickets. There could still be lemonade made out of these lemons though. Animal Kingdom can be the first Derby-Belmont winner since Thunder Gulch if the connections see fit to enter him. Shackleford can prove that his Preakness win was not bias aided (being off the rail in the stretch was key) if he can last the grueling 12 furlongs of the Belmont Stakes. While it doesn’t have the sizzle or flash of a Triple Crown bid, it certainly makes for an interesting rematch with the likely possibility of Nehro running as well. Street Sense and Super Saver both opted to pass the Belmont after defeats in the Preakness, with the bigger picture of making the Travers in mind. It worked out well for Street Sense, not so much for Super Saver. There is a reason for skepticism that Animal Kingdom would run in the last leg based on this, the same goes for Shackleford. Graham Motion is a conservative trainer who likes more time in between races as well, so another big race in three weeks with other big purse possibilities looming further down the road also gives one a moment of pause on the likelihood of the Derby winner making the Belmont. Shackleford was all out to hold off the onslaught of closers in his last three efforts, 1 ½ miles gives the runners that excel in the last half of a race more time to make their moves. There is also the issue of this horse laying it all on the line like he did in his last three starts, how much is left in the tank for another big effort? The Belmont Stakes could very well decide the Eclipse Award this year if both of the classic winners decide to show up. It would certainly behoove the connections of these colts to enter in the third leg as well. If Animal Kingdom goes and Shackleford stays in the stable and Animal Kingdom wins, it makes it harder for Shackleford to make up ground in the division with restricted graded stakes opportunities drying up. The same example could be used in reverse as well. No one in the division has more than one grade one win to their name up to this point, every grade one counts twice as much now as far as division bragging rights. Passing up a chance to take one down is akin to folding a good hand in poker, why not take a shot? 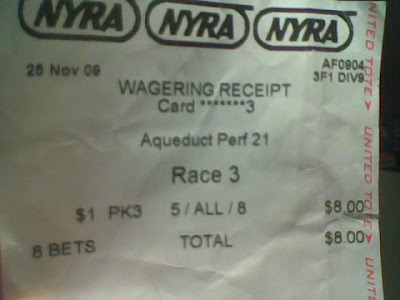 For the last nine years I have had a NYRA wagering account. First it was NYRA telebet then NYRA one now it is known as NYRA rewards. This was the best account. Friendly staff. The key thing was that on a busy day like the derby or breeders cup they were the only ADW that answered the phone. The service was reliable; if you had two minutes there was time to sneak a bet in. No other ADW was like that- the rest of them are overwhelmed with long queues on the phone. 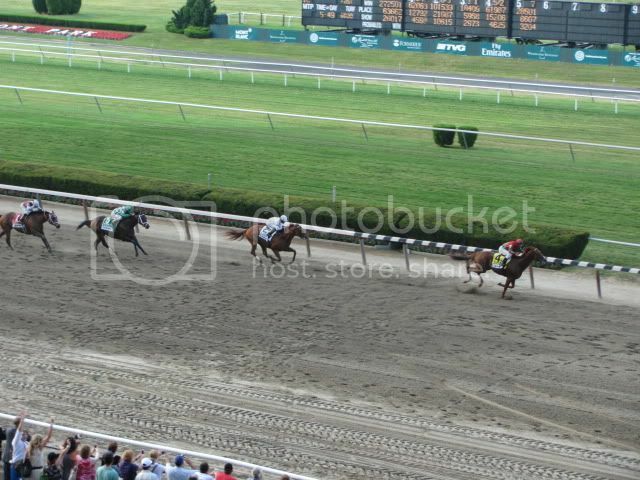 Then the NYRA corporate stiffs got involved and outsourced the NYRA call center to twinspires. Now the service is unusable. When I was visiting Las Vegas on derby weekend I attempted to make a few wagers from my room. No luck. This was clearly the worst big day for nyra telebet in the 9 years I have had the account. Now it is only Black Eyed Susan day at Pimlico and after about ten attempts I can not reach an agent at NYRA. Only corporate stooges- blinded by numbers yet far removed from the daily operation of customer service would close the most efficient call center to sub-contract out to the most over whelmed call center. With the outsorced help in place NYRA rewards is now a useless service. I urge all NYRA rewards members to close their accounts and spend the time they used playing horses serving some charity. It is not worth making ten phone calls to make one special daily double that is only available on the phone. This beleaguered outfit does not answer the phone. Looking back at the charts from the April race at Aqueduct, the inside was not a good spot on the track. 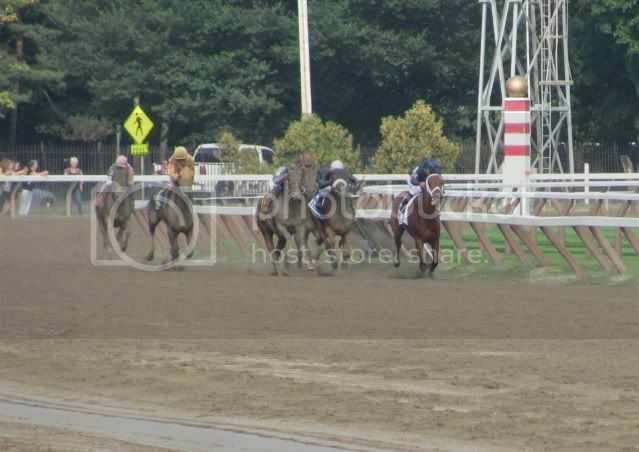 Anyone that started on the rail that day did not win and Adios Charlie was wide and off the rail early on in the Jerome. Astrology finally got into gear when taken off the rail in that race as well. Astrology is the consistent sort and could merit a chance with a decent value in the win pool. Exits the Wood Memorial, which retained its title as the worst prep race to be in with two defections of key contenders before the Derby was run (Uncle Mo and Toby’s Corner). He did close into a slow pace in the Wood though. Pretty light on the experience side and will likely be up on the pace with Shackleford. Got away with a comfortable lead and easy fractions in the Derby, he looked like he hit a wall in the last eighth of a mile in that race as well. More than likely he will see some competition up front in this one as well. 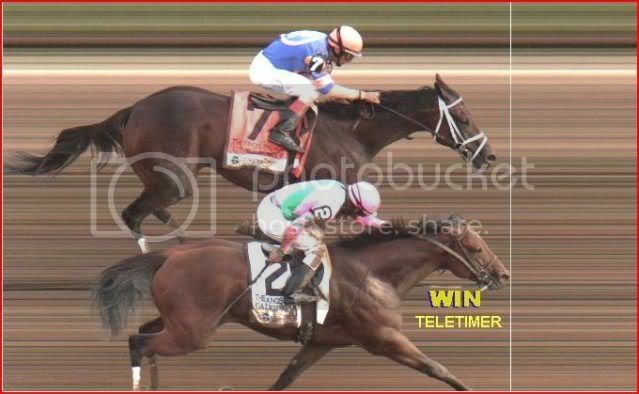 Went zero for three in stakes company and made a premature move in the Arkansas Derby. Nehro was third out of that race and Archarcharch was well off the board. Mixed signs on that front and this one could better fitted for sprints base on his record. Went from maiden to derby also ran in two races and could be up against it based on experience alone. Not to mention that the Southern California contingent has had a sour winter and spring as well. Another speed here, this one is another Arkansas Derby new shooter. Always seems to run a decent to good race and showed a different dimension with his closing kick at Chuchill Downs. Would not be a shocker if this one got to the winner’s circle. His dramatic one run running style worked against him last out and is aiming for a big purse here. It will be hard to leave him out of the exotics and multis. Could he win this race? Sure. Is he worth the bet at the fraction of the odds that you were getting two weeks ago? Probably not. By no means is this horse a lock for this leg, some of the new shooters have a chance and the returning Derby foes have a solid case for a rebound performance. This is a race that is worth shopping around for value in the win pool. As for the exotics and multis, it is probably a good idea to include this one for protection from a bust with juiced up odds in these pools. If this is a question, then the answer is no. Probably will run like he is in witness protection here. If this horse wins, look for the stud fee on Artie Schiller to shoot up shortly after the results. With the Preakness Stakes 2011 looming it is time to share our longshot selection. Astrology is a speedy horse we have been following since he broke his maiden at Saratoga. With projected odds at around 15-1 this new shooter to the triple crown could make Preakness betting very rewarding. After a stakes win at Churchill last year he has followed up with three consecutive second place finishes. This colt has the pedigree and connections to win this race. Astrology broke his maiden at the Spa in one of those super maiden races; a full field of 14 and he beat future stakes winner To Honor and Serve. This might have been a sprint win but this horse is by Chef de Race A.P. Indy; this a horse bred to go long. With 2011 derby-like tepid pace Astrology could sit a nice trip right off the pace. The threats to win -both closers- Dailed In and Animal Kingdom should leave Astrology alone on the pace. Astrology can be absolved of his last two losses. His first first loss this year was in the Sunland Derby. Off a long layoff he pressed a wicked 45 and change pace. Rather than fade meekly Astrology still finished strong for the place. Horse thrive on routine and do not like abrupt change. Astrology had to deal with massive change for his next race. From bone dry desert to bog Astrology was shipped to Aqueduct for the waterlogged sloppy Jerome. He finished a gallant second to Adios Charlie who subsequently gave a good account of himself in the Peter Pan at Belmont. With two races under his belt in this form cycle Astrology should be ready to run his peak race in the Preakness. The connections of trainer Asmussen and Stonestreet stables have won this race two of the last four years with 2007 winner Curlin and 2009 heroine Rachel Alexandra. Astrology has a shot to make it three out of five. The Preakness is now a week away; the Derby is considered the biggest event of the year, but the most important race of the year historically speaking is the Preakness. It has decided more year end honors than any other race has done in recent memory. Not to mention the obvious that it is the middle leg of the Triple Crown and is a single elimination playoff race for the Derby winner. There have been some dramatic finishes in recently as well. Recent memory speaks for itself on this one. After rough trips at Churchill and Santa Anita, he acquitted himself nicely with a jockey switch from Garret Gomez to Martin Garcia. Lookin at Lucky went on the clinch the divisional championship with a win in the Haskell. 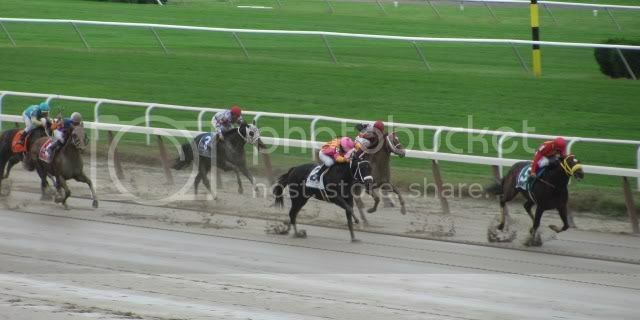 The Derby winner Super Saver was not the same after this race with the first of three off the board finishes. First Dude finished a resilient second after setting the pace, foreshadowing what the rest of the year held for this horse. Mine That Bird did not scare off many in this race and one of the chief opponents was a filly that just won by 20 lengths in the Kentucky Oaks. Breaking from post 13, Rachel Alexandra was wide most of the way while near the lead and still had enough left to hold off the surge of Mine That Bird. She went on to beat the male competition twice after this race en route to Horse of the Year and Champion three year old filly honors. After a dominant win in the Derby, he won with ease in the Preakness. If it weren’t for a quarter crack injury before the Belmont, this one would be referred to as a Triple Crown winner. He won two races at Monmouth Park and was named three-year-old champion. The juvenile champion Street Sense and Curlin battled down to the wire in a photo finish that was about a fingernail difference between Street Sense going for a Triple Crown and taking an extended rest for the Travers and the Breeders’ Cup. Curlin was involved in two other thrilling stretch runs, the Belmont against Rags to Riches and the Jockey Club Gold Cup against Lawyer Ron. Both of those opponents went on to be named three-year-old filly champion and older male champion respectively. Curlin went on to win the Jockey Club Gold Cup and Breeder’s Cup Classic, which was the first of two Horse of the Year campaigns. Animal Kingdom and Dialed In are the two horses that will immediately get a boost to the top of the class based on past successes. If one of the fresh horses or a Derby also ran wins it, a new challenger for the year-end championships has arrived. It will certainly be an interesting week.